It all began when she was a child. Science teacher Rachel Brunsell’s parents were big on acknowledging environmental concerns in the household and in turn learned to lessen those concerns in little ways. With her mom and her brother, she remembers going on “can walks,” where they would pick up aluminum cans and turn them in to a local recycling facility. This not only influenced a bond for Brunsell and her family, but it allowed her to be introduced to being environmentally conscious at an early age. “I remember (my parents) complaining if I accidentally threw out something that should have been recycled, but now I’m the one doing that same thing,” Brunsell said. In recent years, there has been an increase in concern about the impact humans have on the environment. Some people see this as a wake up call and want to make changes to help the Earth become a cleaner place. Brunsell makes decisions in her life that help the planet and hopes she can also influence others to do the same. Recently there has been controversy on the Earth’s natural resources being used up by the year 2050 and for some resources such as fresh water, 2030. The government has recently posted a climate report, detailing the upcoming disasters if we do not make a change now. They have given advice on how to push back this date or completely erase the thought of the planet’s resources being used up whatsoever. According to CNN, the outcome of 2050 is not something that’s only happening in 2050, but it is something that we already see today in some beginning signs. Countries are already seeing these characteristics, and these are becoming more and more noticeable. Countries are becoming more vulnerable to heat exposure. These types of negative impacts are affecting public health, crops and even the spreading of disease. An article by Indiana Public Media shows some ways people could help the planet. People can start using reusable bags at the grocery store instead of the plastic ones, buying used furniture instead of new, decreasing electricity usage and even just eating no meat or animal products one day each week. These are all easy ways to help the earth from becoming more and more exhausted resource wise. Brunsell tries to make little changes to her lifestyle to make even a bit of a positive impact. Even something as small as making her own toothpaste, allows her to reduce plastic usage. According to her, it takes less than two minutes to make this type of product with ingredients that could be found in someone’s kitchen. She also highly suggests limiting plastic usage and not using single-use plastics. Reducing usage of and reusing items that would otherwise be waste can save money, save energy and reduce pollution, according to the United States Environmental Protection Association. “Anything that you have that is plastic, you can find a non-plastic version of that,” Brunsell said. She says that reducing plastic, although an important step, is not all someone can do to lessen their negative impact on the environment. One of the ways she mentions that can help the planet is to change a person’s diet. People can limit their amount of meat consumption or cut it out completely. According to Brunsell, this can help save water and reduce the production of carbon dioxide while also saving an amazing amount of resources. 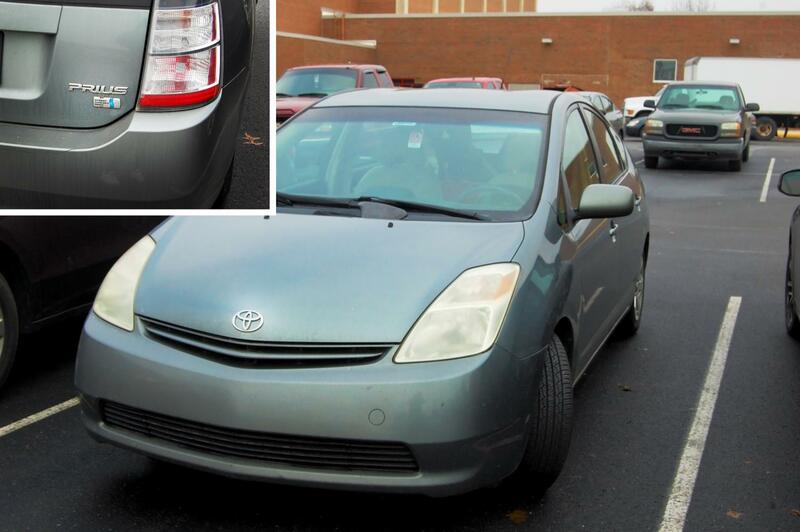 Brianna Henry Brunsell drives a Toyota Prius, which is a less environmentally harmful vehicle. Brunsell tries to encourage friends, family and even her students to find little adjustments they can make to help the planet in the long run. She even thought about starting a Youtube channel to teach people simple tricks to help save the planet. Making videos such as “how to be more eco friendly” is what her premise would be. This could also help her students by giving them easier access to simple ways they can have a positive impact on the world. Her desire to help her students has really driven her to make new and creative techniques to be more easily environmentally friendly. “I love when I mention something in class and the next day someone’s like ‘Oh you talked about bamboo toothbrushes? I ordered mine today,’” Brunsell said. By teaching environmental science, she has the opportunity to impact many students. One student greatly impacted by Brunsell is senior Becca Hiller. Hiller met Brunsell last year when she had AP Environmental Science. Hiller decided to take the class because of her interest in the environment, which was sparked by her neighbor that lived near her when she was younger. Her neighbor had a garden and lots of animals, and all of it inspired Hiller and brought out her love for nature. Taking the class made the environment, in her eyes, even more important in her life overall. “It’s very inspiring to see someone that is that aware of the impact they make,” Hiller said. Brunsell affected Hiller’s lifestyle as well. Hiller is now vegetarian and she recently switched to products that are more eco friendly, such as products for her hair that are recyclable. Hiller also has goals to be more environmentally friendly, as she has considered changing her diet from vegetarian to vegan and trying a zero-waste lifestyle. Producing zero-waste is a topic that has come into light recently. It is the practice of not trying or using products that end up in the trash. For example, not buying things with packaging to avoid having to throw it away. Brunsell tries to come closer to the zero-waste lifestyle by making her own deodorant. Instead of buying the little packages that last for about two months, she makes her own environment-friendly detergent for less than $30, and it lasts for one year. 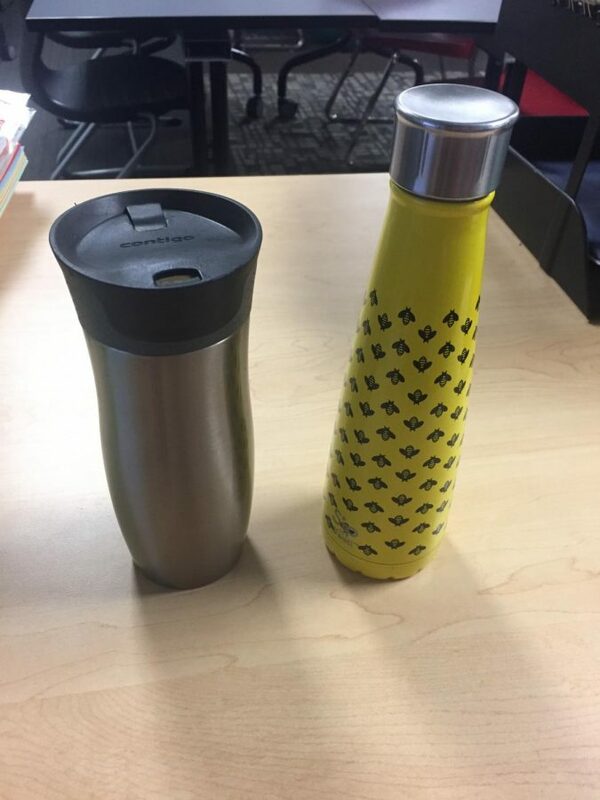 Another student that has been impacted by her suggestion of zero-waste is senior Mackenzie Riddle, who plans on following that lifestyle in the future. She first met Brunsell when she decided to switch her science class from Physics to AP Environmental Science because she likes animals. 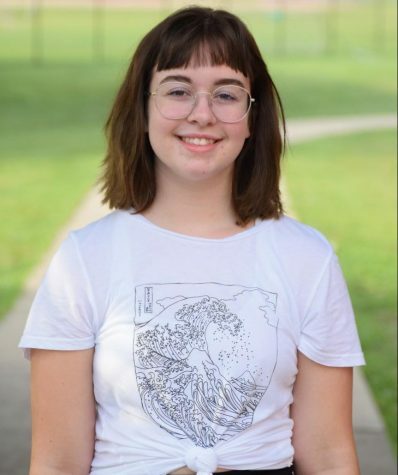 Riddle has always had an interest in the environment as a whole, but she feels as if Brunsell made her see how truly important it really is in today’s world. “The environment is partially my religion,” Riddle said. Overall, the environment has become a huge part in impacting Riddle’s life, largely due to Brunsell’s example. Riddle picked up some things from Brunsell, like being a vegetarian. She has been so influenced by Brunsell that she has decided she wants to be an environmental engineer. “By teaching me all about the environment, she has basically led me to choose my career path,” Riddle said. She has not only influenced students, but she has also had an impact on her friends. One of her best friends is science teacher Daryl Traylor, who has been impacted greatly by Brunsell over their time as friends. This had lead Traylor to be a more eco-friendly person. She now uses reusable shopping bags and uses her own cutlery. Traylor is just one example of the many people Brunsell has influenced to change their ways of life to save the planet. With all of the ideas Brunsell has come up with, she recently began thinking about starting a business. 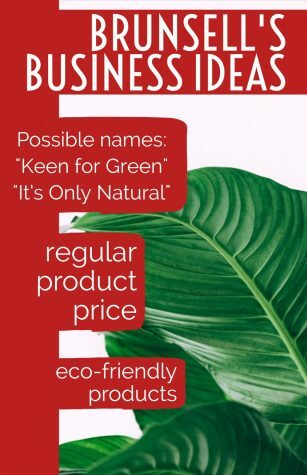 This business would include all of the products she normally makes for herself, and she would sell them to others. They would cost the same price as the regular products in the store, but they would be all natural with no chemicals. 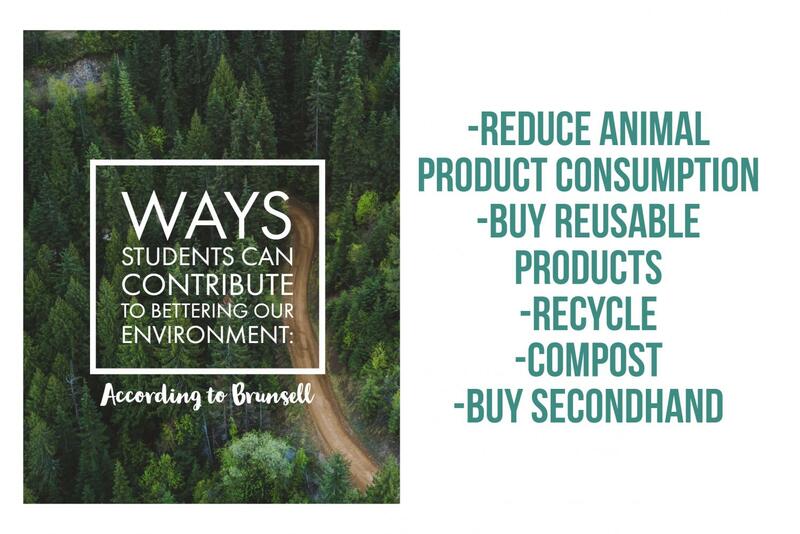 Brunsell is constantly trying to help the environment as much as possible. Even if it is only something small, like making her own toothpaste or something big, like influencing someone’s lifestyle, she always tries to change aspects of her life for the betterment of the earth.